Harold August “Okie” Thanscheidt, 89, of Folkston, GA passed away January 13, 2019 in Jacksonville, FL. He was born August 29, 1929 in Woodward, OK to the late William August “Bill” Thanscheidt and Mary Moody Thanscheidt. 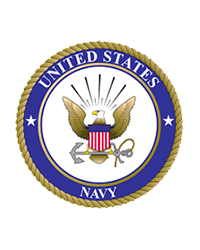 He proudly served his county in the US Navy aboard the USS Shannon stationed at Charleston Naval Base and later deployed to North Africa, Port Lyautey French Morocco from 1948-1952. He was honorably discharged as a Mineman 3rd Class. He was an electrician by trade. He was a member of Camp Pinckney Baptist Church. He is survived by his wife of 59 wonderful years: Ruby Jeanette Logan Thanscheidt; a son: Michael William (Josephine) Thanscheidt, Sr.; 2-grandchildren: Michelle Ann Thanscheidt (Nicholas Edward) Sanderson, Michael William Thanscheidt, JR.; 6-great grandchildren: Kayla Michelle Sanderson, Anna Faith Sanderson, Noah Nicholas Sanderson, Samuel Nicholas Sanderson, Charity Grace Sanderson and Lillian Ruby Thanscheidt; a brother: Tommy Thanscheidt and a number of nieces, nephews and other relatives. Along with his parents, he was preceded in death by his brother: Roy Thanscheidt. Funeral services will be held Thursday, January 17 at Camp Pinckney Baptist Church at 11:00 AM with Rev. Tim Hall officiating. The family will receive friends an hour prior to the service at the church. Burial will follow in the church cemetery.